Wikipedia defined hornbook as a book that serves as a primer for study; dating back to the 1400s. ” In childhood education from the mid 16th century to the late 19th century, a hornbook was a primer for children consisting of a sheet containing the letters of the alphabet, mounted on wood, bone, leather, or stone and protected by a thin sheet of transparent horn or mica.” Hornbooks, whether antique or newly created serve well for displaying your work. 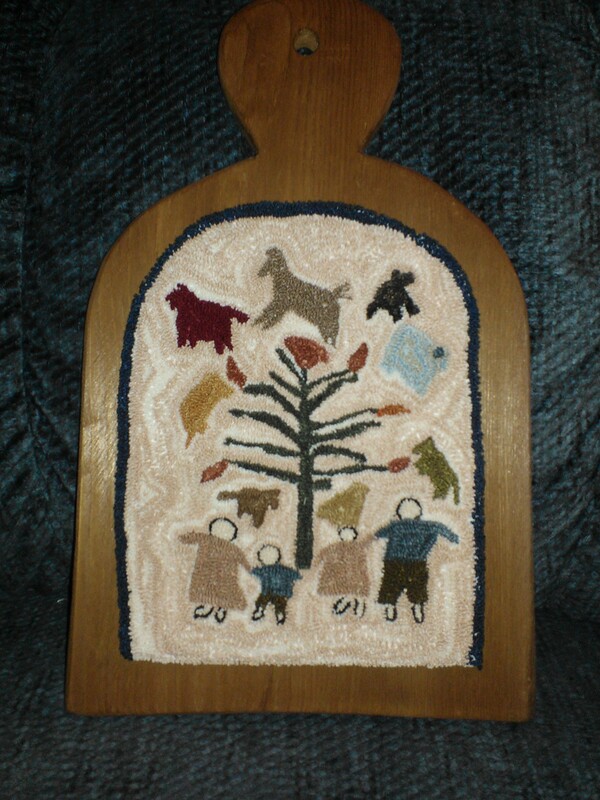 My husband, Bruce made the hornbook used for the Family Tree, punched from a pattern generously offered by Rebecca from A Simple Quiet.